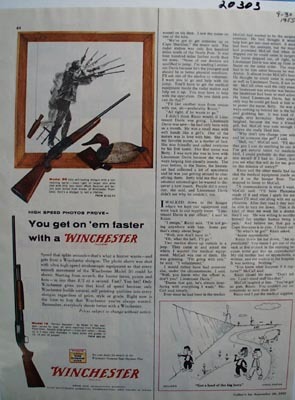 Winchester Shotgun Get On Them Faster Ad 1955 This is a September 30, 1955 advertisement. It is a nice color ad from Winchester Arms and ammunition Division, Olin Mathieson Chemical Corp of New Haven, Conn. Pictures a man using the shotgun and it reads, ""High speed photos prove you get on them faster with a Winchester."" In excellent condition. Photo is taken through plastic and may show wrinkles or crookedness that is not in the ad. This magazine tear sheet measures 5 1/2"" wide by 13 3/4"" tall. 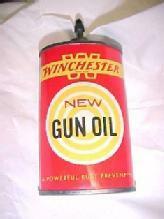 Items Similar To "Winchester Shotgun Get On Them Faster Ad 1955"